A little delay since my last post because I've been tackling these two 800+ page brutes! 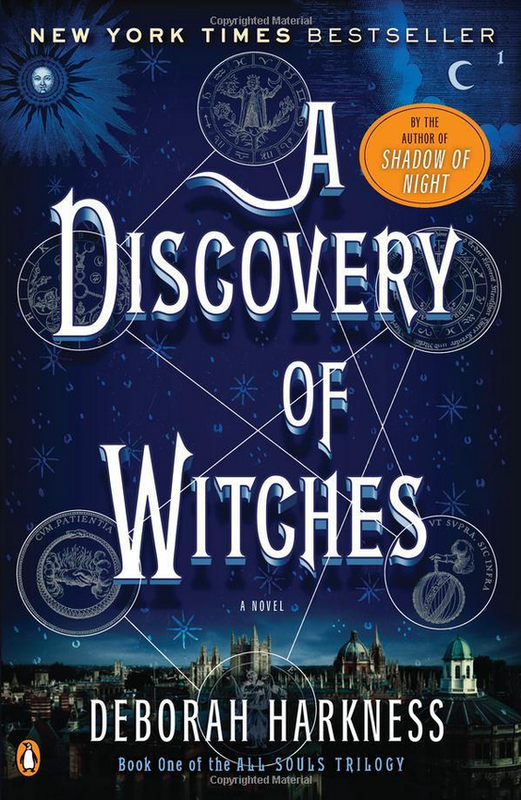 If you've ever read The Outlander series, even one of them, and liked it, then you will very much enjoy the first two books of the All Souls Trilogy by Deborah Harkness. You'll probably also be entertained by the third installment, but since the second book only came out this summer, then (1) you will for sure have to suffer some delayed gratification and (2) you can't expect me to predict you would probably like a book if I haven't even read it - there's not even a cover by which I can judge it! Anyway, the reason why I compare these books to The Outlander series is because there's the mismatched pairing of the two main characters, many references to historical events and people that make you want to learn more about them, and (without giving too much away) a little bit of time travel. 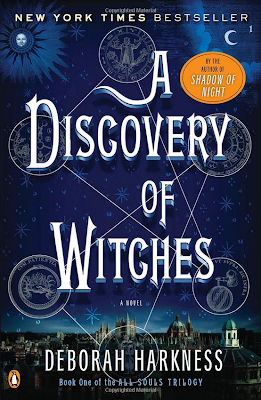 In this case, it's the forbidden friendship (and more) between a witch who has denied her powers and become a scholar in the history of science and alchemy, and a vampire who takes an interest in her when she accidentally finds and opens a spellbound book that has been hidden for 150 years and, allegedly, holds the key to explaining the creation and destruction of vampires and daemons. I would also think that one could compare, though it may be a stretch, these books to the Sookie Stackhouse series on which the popular TV series, True Blood, is based. I only say that because of the path of discovery the two characters, Sookie and Diana, must take to understand and control their innate abilities. Of course, if you're a fan, in general, of the recent trends centering story lines around vampire and witches, then you should get these books. Their size is a bit daunting, but (unlike the Game of Thrones series where I STILL can't get through 1/3 of the first book) the story flows well and keeps you interested, for the most part. 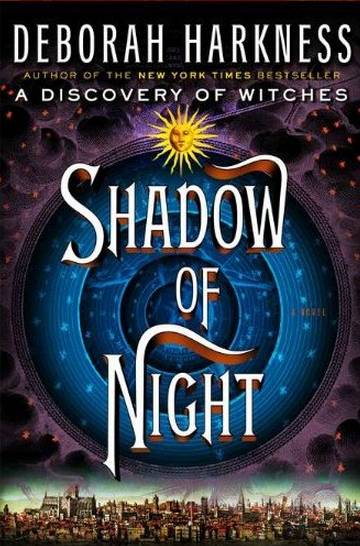 I'm glad that Deborah Harkness is keeping it to just three books, learning from the mistake made by Diana Galbadon in dragging out The Outlander series to the point where she's grasping for plot ideas, resulting in large chunks where the reader (namely me) loses interest. There's some evidence of that "reaching" in the 2nd book already, where instead of 800 pages, it could have probably been 600 or 700.